"Recording Studio & Sound Reinforcement Help Links"
Rescue#1 For Windows - Recording Studio Help How To Information. (WMV MB Video File) Download. Rescue#1 For Apple Mac/iPad - Recording Studio Help How To Information. (MP4 HD MB Video File) Download. Rescue#2 For Windows - Recording Studio Help How To Information. (WMV MB Video File) Download. Rescue#2 - Recording Studio Help Rescue Link#1 Click Here For Video (MP4 HD MB Video File) Download. Rescue#3 For Windows - Recording Studio Help How To Information. (WMV MB Video File) Download. 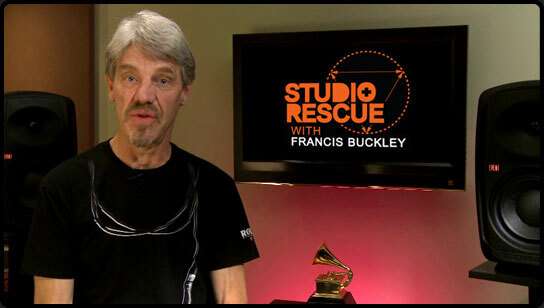 Rescue#3 For Apple Mac/iPad - Recording Studio Help Rescue Link#1 Click Here For Video (MP4 HD MB Video File) Download. Rescue#4 For Windows - Recording Studio Help How To Information. (WMV MB Video File) Download. Rescue#4 For Apple Mac/iPad - Recording Studio Help Rescue Link#1 Click Here For Video (MP4 HD MB Video File) Download. Rescue#5 For Windows - Recording Studio Help How To Information. (WMV MB Video File) Download. Rescue#5For Apple Mac/iPad - Recording Studio Help Rescue Link#1 Click Here For Video (MP4 HD MB Video File) Download. Rescue#6 For Windows - Recording Studio Help How To Information. (WMV MB Video File) Download. Rescue#6 For Apple Mac/iPad - Recording Studio Help Rescue Link#1 Click Here For Video (MP4 HD MB Video File) Download. Rescue#7 For Windows - Recording Studio Help Rescue Link#1 Click Here For Video (WMV MB Video File) Download. Rescue#7 For Apple Mac/iPad - Recording Studio Help How To Information. (MP4 HD MB Video File) Download. Rescue#8 For Windows - Recording Studio Help Rescue Link#1 Click Here For Video (WMV MB Video File) Download. Rescue#8 For Apple Mac/iPad - Recording Studio Help How To Information. (MP4 HD MB Video File) Download. Rescue#9 For Windows - Recording Studio Help How To Information. (WMV MB Video File) Download. Rescue#9 For Apple Mac/iPad - Recording Studio Help How To Information. (MP4 HD MB Video File) Download. Rescue#10 For Windows - Recording Studio Help How To Information. (WMV MB Video File) Download. Rescue#10 For Apple Mac/iPad - Recording Studio Help How To Information. (MP4 HD MB Video File) Download. Rescue#11 For Windows - Recording Studio Help How To Information. (MP4 HD MB Video File) Download. Rescue#11 For Apple Mac/iPad - Recording Studio Help Rescue Link#1 Click Here For Video (MP4 HD MB Video File) Download. Rescue#12 For Windows - Recording Studio Help How To Information. (MP4 HD MB Video File) Download. Rescue#12For Apple Mac/iPad - Recording Studio Help Rescue Link#1 Click Here For Video (MP4 HD MB Video File) Download.